When I have too much in my mind, I find the best thing to do is write it all down and make a to-do list of all the tasks buzzing around in my head. But if you're anything like me, it can feel like the to-do list never ends; either it never shrinks or I find it getting longer and longer, and suddenly simply looking at the to-do is just as overwhelming as it was when it was all sitting in my head. Seeing a to-do list that seems to long to tackle can burn you out before you even start. 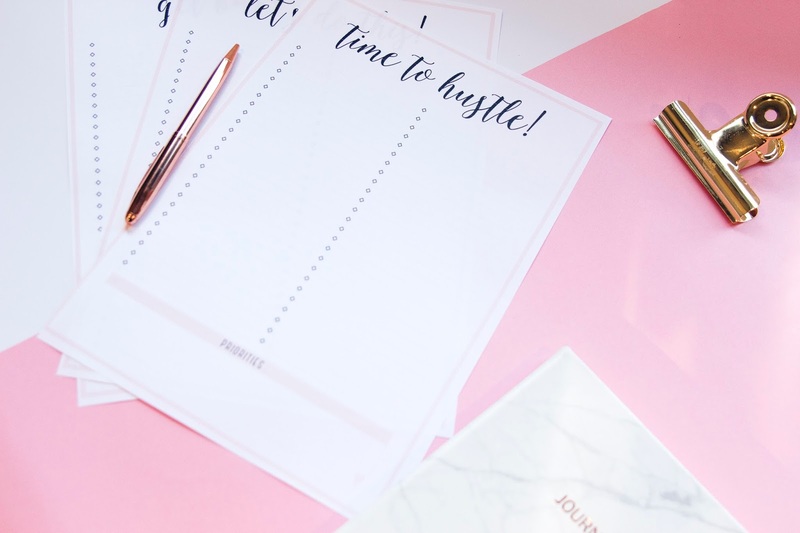 I think, especially for those of us who work from home and tackle various jobs and clients at once, not being organised and have a clear head can really roadblock you from getting anything done. So, I came across this strategy while reading around online that aims to help you actually tackle and conquer your tasks for the day. It's called the 1-3-5 rule. For this rule you will need to narrow your to-do list down to nine items. Pick one big task that you really want or need to accomplish for that day and put it at the top. You then choose three medium tasks which you write down next and then five smaller tasks. This doesn't mean you should throw away your 'master' list which contains every single thing you need to get done, certainly keep that around, but this rule is all about sitting down and prioritising. If we think we need to accomplish five major tasks in a day, our stress levels will spike, but if we can break down the most immediate tasks into more accomplishable and bearable items, you'll find that to-do list doesn't seem so daunting anymore. If you're someone with a million things to do, starting your day by putting the 1-3-5 rule into practice before you get into work will help your brain get everything in order and leave you more time to be productive rather than simply sitting and thinking about the stress of it all. Such good advice! I am hopeless at getting through my to do list, so I am going to try your advice! I actually pride myself on being able to get through what I set out to but I think I'd still like to try this! Sometimes its so hard to prioritise tasks so this is a really great idea to keep yourself organised!